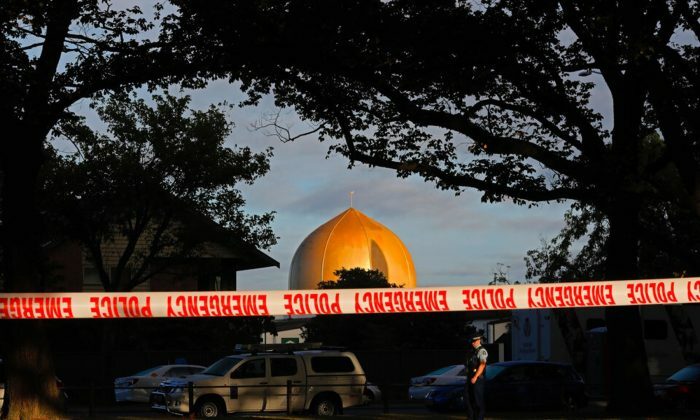 LONDON—Facebook says none of the 200 or so people who watched live video of the New Zealand mosque shooting flagged it to moderators, underlining the challenge tech companies face in policing violent or disturbing content in real time. The social media giant released new details about its response to the video in a blog post. It said the gunman’s live 17-minute broadcast was viewed fewer than 200 times and the first user report didn’t come in until 12 minutes after it ended. Facebook removed the video “within minutes'” of being notified by police, said Chris Sonderby, Facebook’s deputy general counsel. Facebook has previously said that in the first 24 hours after the massacre, it removed 1.5 million videos of the attacks,” of which over 1.2 million were blocked at upload,” implying 300,000 copies successfully made it on to the site before being taken down. The video’s rapid spread online puts renewed pressure on Facebook and other social media sites such as YouTube and Twitter over their content moderation efforts. Many questions why Facebook, in particular, wasn’t able to more quickly detect the video and take it down. On March 19, New Zealand Prime Minister Jacinda Ardern expressed frustration that the footage remained online four days after the killings. She said she had received “some communication” from Facebook’s Chief Operating Officer Sheryl Sandberg on the issue. Facebook uses artificial intelligence and machine learning to detect objectionable material, while at the same time relying on the public to flag up content that violates its standards. Those reports are then sent to human reviewers who decide what action to take, the company said in a video in November, which also outlined how it uses “computer vision” to detect 97 percent of graphic violence before anyone reports it. However, it’s less clear how these systems apply to Facebook’s live streaming. To report live video, a user must know to click on a small set of three gray dots on the right side of the post. When you click on “report live video,” you’re given a choice of objectionable content types to select from, including violence, bullying, and harassment. You’re also told to contact law enforcement in your area if someone is in immediate danger. Before the company was alerted to the video, a user on 8chan had already posted a link to copy of it on a file-sharing site, Sonderby said. 8chan is a dark corner of the web where those disaffected by mainstream social media sites often post extremist, racist and violent views. In another indication of the video’s spread by those intent on sharing it, the Global Internet Forum to Counter Terrorism, a group of global internet companies led by Facebook, YouTube, Microsoft, and Twitter, said it added more than 800 different versions to a shared database used to block violent terrorist images and videos. The group said it added “digital fingerprints” for visually distinct versions of the video to its database. The move came in response to attempts by internet users to share the video by editing or repackaging versions with different digital fingerprints to avoid detection. We’ve been in close contact with @Google, @Twitter, and @Microsoft since last week’s terrorist attack in New Zealand through the Global Internet Forum to Counter Terrorism (GIFCT). “The incident highlights the importance of industry cooperation regarding the range of terrorists and violent extremists operating online,” said the group, which was formed in 2017 in response to official pressure to do more to fight online extremism. In a series of tweets a day after the shootings, Facebook’s former chief security officer, Alex Stamos, laid out the challenge for tech companies as they raced to keep up with new versions of the video. “Each time this happens, the companies have to spot it and create a new fingerprint,” said Stamos. “What you are seeing on the major platforms is the water leaking around thousands of fingers poked in a dam,” he said. Police alerted us to a video on Facebook shortly after the livestream commenced and we quickly removed both the shooter’s Facebook and Instagram accounts and the video. We’re also removing any praise or support for the crime and the shooter or shooters as soon as we’re aware. Easter celebrates rebirth and renewal. It calls us forth—out into the spring air to show up, begin again, and do our best.